Since we’ve been back in the UK we’ve been revelling in the British food scene, privately and professionally. For those who don’t know, my husband is a Chef and is loving working in London’s top hotels again. Great food is easy to find in restaurants and in the shops, local markets being a particularly good place to find quality produce and lovingly-made local products. On Saturdays we visit Twickenham Farmers Market for tomatoes and gourmet breads, on Sunday we may wander along the Thames in the opposite direction to Richmond’s Duck Pond Market to pick up some jumbo organic goose eggs, a new favourite. 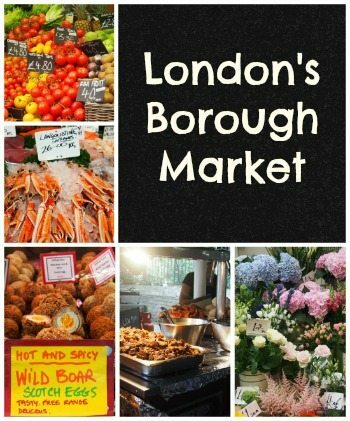 For a special treat, we take the tube into the city for what is billed as Britain’s finest market, Borough Market. 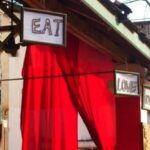 Look, shop, taste, eat, it’s a great place to hang out in the city. Borough Market at London Bridge. Traditional British meat stall nestling under the bridge supports. 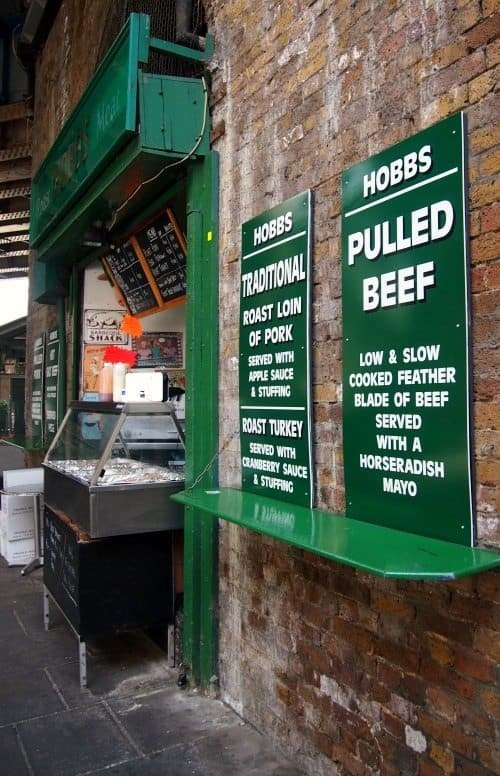 You’ll find plenty of old London favourites at Borough Market. Since the 11th Century, London Bridge has been a market place, an area where traders gathered. In the 13th Century traders relocated to nearby Borough High St and in 1755 Southwark residents got together to buy the triangle, the site that has remained the core of Borough Market to this day. The fish and shellfish on sale at Borough were incredible. 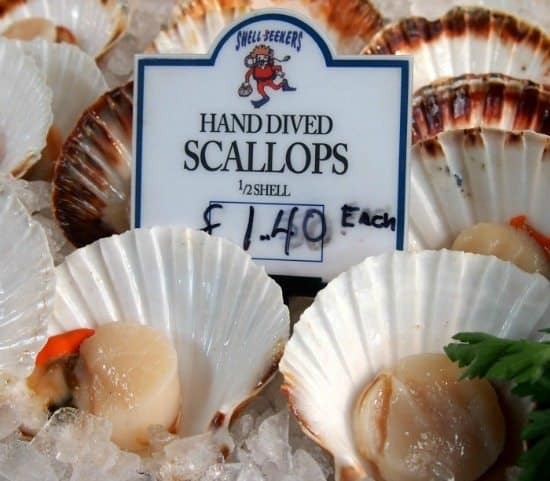 I have a friend back in Port Douglas who used to be a professional scallop diver, braving icy Shetland waters every day to gather a quality product like this. 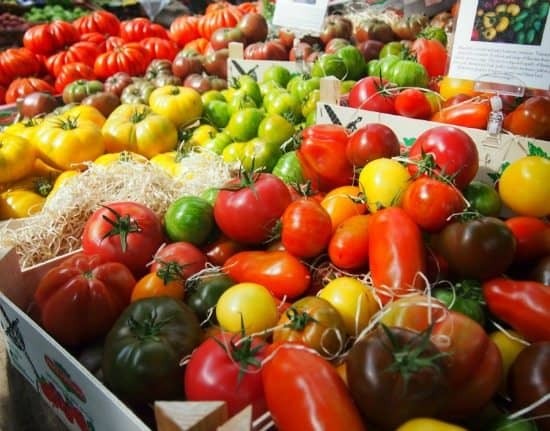 London’s oldest fruit and veg market now has over 100 stalls, each selling top quality products. High quality is essential to qualify for a pitch at Borough. 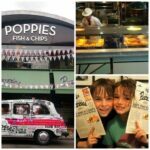 The atmosphere is great, the stall holders are friendly and the food is sensational. Speciality mushrooms, I’ve not seen anything this impressive since the street markets of Luang Prabang in Laos. If you need more reason to visit Borough Market, it’s right outside London Bridge Tube Station, you could hop off here and walk along London’s stunning South Bank all the way to the London Eye. There are endless attractions, dining opportunities, and street performers along with a few kids’ play opportunities and scenic views to provide you with a complete day out while you’re in town. Best Blog Read Now! 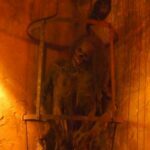 Ripley's London. Expect the Unexpected. A treat for the kids. 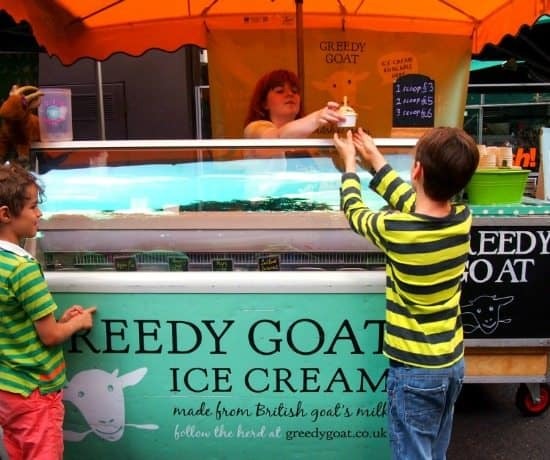 A lovely lady helped us out with finding an ice cream for my dairy intolerant son. Sensational goat’s milk ice cream, apple pie flavour is the business. From this part of the city you can enjoy views of Tower Bridge, the Tower of London, the Houses of Parliament and of course the London Eye towering above you. Attractions on the South Bank include the Tate Modern, (currently of interest to bird watchers as the RSPB have set up telescopes to observe the resident peregrine falcon), the Clink Prison Museum, the London Aquarium, Drake’s Golden Hind and Shakespeare’s Globe Theatre. A treat for mum. The best coffee I’ve had in a very long time and hand made chocolate produced on site, from pod to finished product. The full market opens at 10 am Wednesday to Friday and 8 am on Saturday. Closing time is 5pm except of Fridays, when you can stay ’till 6. At other times the market may be partially open for lunch, best to check their website for full details, the link is above. 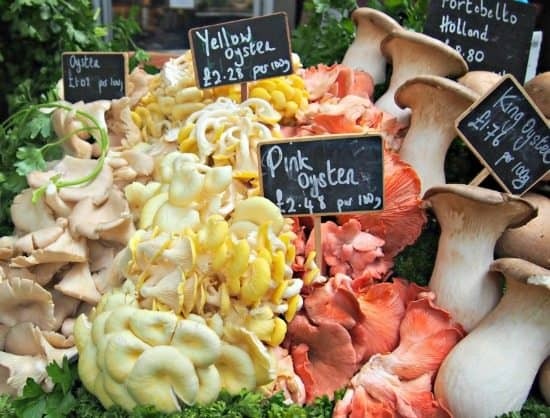 We think Borough Market is a must-do in London for anyone with an interest in food. British food has an undeserved dull reputation, something I’ve never been able to fathom. An Australian friend once told me that Britain doesn’t produce fresh fish, there are a lot of myths like that out there that deserve busting, check it out for yourself, it’s really quite stunning. We always find something to be impressed with wherever we go, if you seek you will find and there are always interesting surprises in the world of food. 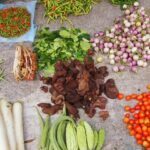 It’s one of the reasons we travel, we just love our food! 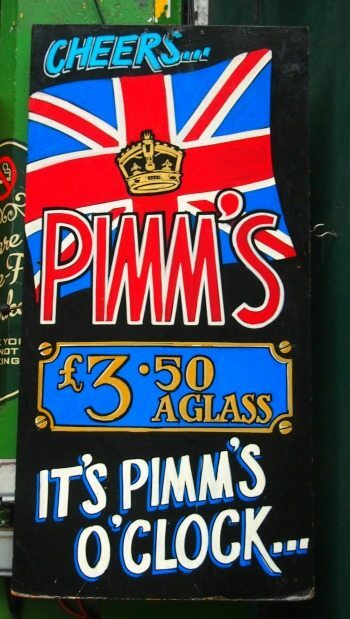 One last reason to visit Borough Market, it’s always Pimm’s o’clock. How lovely to have a husband who’s a chef! Bet all food – not just British food – tastes great when he cooks dinner for the family :-). And it looks like you can pick up some really tasty supplies at the Borough Market. Wow, that coffee alone has sold me! We are in Cork, Ireland at the moment and can’t find a decent coffee to save ourselves! I’m from NZ so I know good coffee and everything here is standard single shot and milky, ugh! Anyway we have a week in London booked next month so I must check out Borough Market. 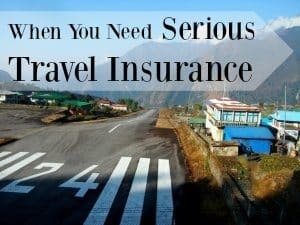 I’m also loving reading all your other tips as we are travelling with our 2 year old. Once I get over the price we paid for our AirBnB apartment for a week I think we are really going to love London! Thanks. You’re going to be very busy Emma! 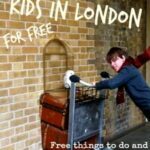 Too many things to do in London, we’re giving it months and I know we’ll leave having missed a few things, lots of free attractions to make up for the sky high accommodation prices though. 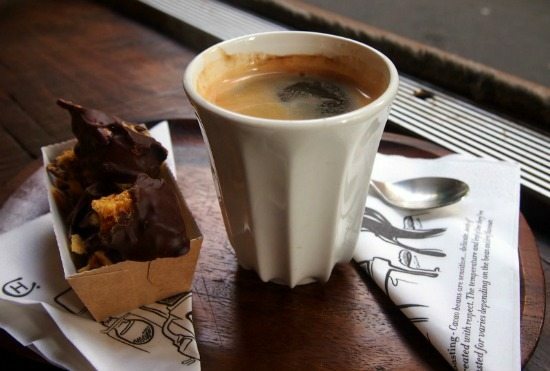 I’m off for another of those coffees soon and the chocolate was incredible. I think the shop was called cacao, but I’m trying to check. Oh British food soooooo rocks!! One of the many reasons I am a total Anglophile. Drooled all the way through this post…. loved the Pimm’s finale! Thank you! !